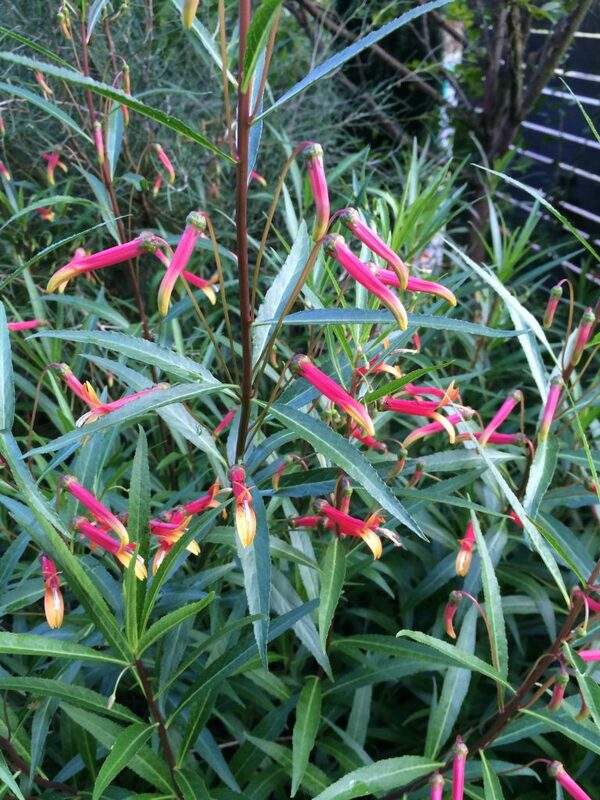 Narrow leaved Mexican Lobelia is a showy long blooming perennial for very well drained sites in full sun. 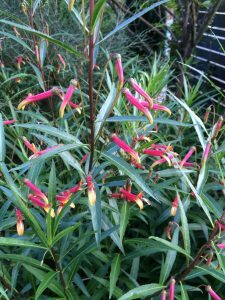 Rising to 3′ when happy this expanding clump has stems decked out in tubular red and orange flowers with a yellow throat. You just know its hummingbird central. Regular water speeds growth on this vigorous an heat loving perennial for full sun. To 3′ wide in time. Blooms May to August. Light, consistent summer water. Drainage is key with this perennial. Amend the soil with pumice and compost if your soil is heavy, cold and wet. Dies to the ground in winter re-emerges late in spring- be patient. Mexico Mountains.